Ahead of the highly anticipated premiere of Game of Thrones Season 7, Funko is set to release a killer new wave of Game of Thrones Pop! 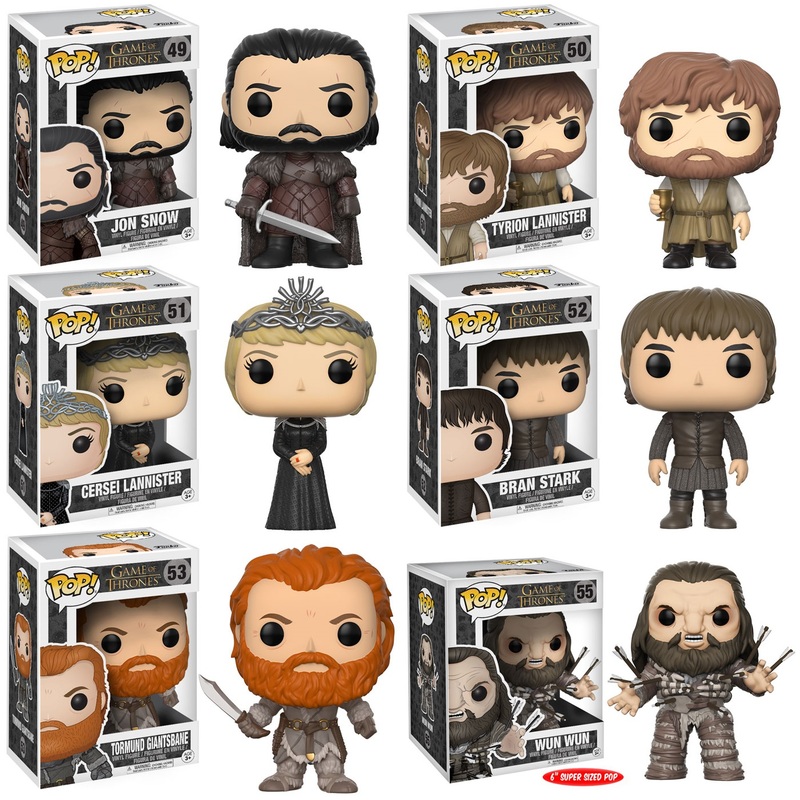 vinyl figures that features updated looks for three fan-favorite characters from the hit HBO series, plus three new characters making their Funko Pop! debuts! Game of Thrones Pop! Series 7 will include Jon Snow, Tyrion Lannister, Queen Cersei Lannister, Bran Stark and Tormund Giantsbane. This awesome new series based on Season 6 of the show also includes a super sized 6” Pop! of the giant Wun Wun! Funko is also releasing a Books-A-Million Exclusive Jon Snow and Bran Stark Pop! 2 pack for all the House Stark fans out there. Each Game of Thrones Pop! Series 7 vinyl figure stands 3.75” tall, has a rotating head and comes in a displayable window box. 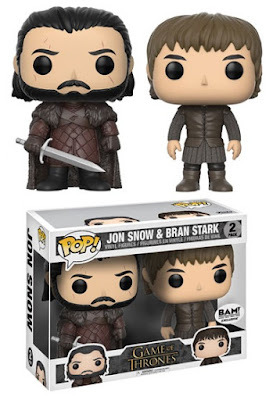 You can pre-order these new GoT figures now at Entertainment Earth for $10.99 each here. The Wun Wun 6” Pop is $14.99.